House of Cultivar Sale at the Market! House of Cultivar on Sale at Evergreen Market! There’s a party in our weekly fire sales and House of Cultivar has just been invited. It’s a House of Cultivar sale, y’all! One of the industry’s best, House of Cultivar, is on sale this week at all three Evergreen Market locations! That’s right, whether you stop in at South Renton, North Renton, or Auburn you’ll be able to snag some House of Cultivar flower at a sweet sale price. Tell your friends. Need more House of Cultivar in your life? Of course you do! Check out our visual tour of their facility and the beautiful magic that happens in their grow rooms here! 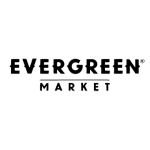 Evergreen Market three stores in Washington state. Two in Renton (one near Ikea and the other on Rainier Ave near Renton Airport) and one in Auburn right next to the Iron Horse Casino not far off from Auburn Way. We’re open Monday – Saturday from 8am – 11pm, and Sundays from 9am – 9pm. Stop in anytime and our friendly staff will be sure to provide you with a great experience.